We will present an attractive crossroad of mechanics and mathematics. 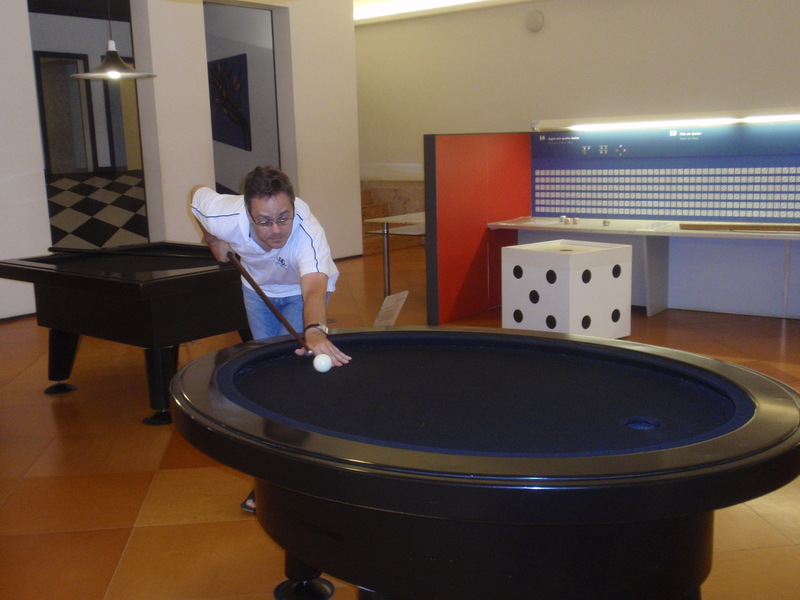 We will talk about interesting problems of billiards on triangular and elliptical tables. Video clips illustrating the subject will be demonstrated. We will provide basic definitions and some historical background. About the lecturer: Vladimir Dragovic is a professor of Mathematics at UT Dallas. He has been a full research professor and the Head of the Department of Mechanics of the Mathematical Institute of the Serbian Academy of Sciences and Arts. He served as the Director of the Mathematical High School in Belgrade (2004-2008), known as one of the world’s most successful schools in the IMO competitions ( http://en.wikipedia.org/wiki/Matemati%C4%8Dka_gimnazija). **Please note: Math Circle will be on winter break from December 21, 2013 through January 4, 2014. We will resume with a talk by Mathew Crawford on January 11, 2014 (see schedule).